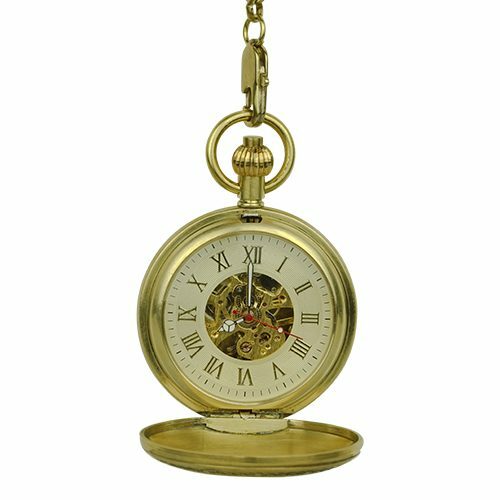 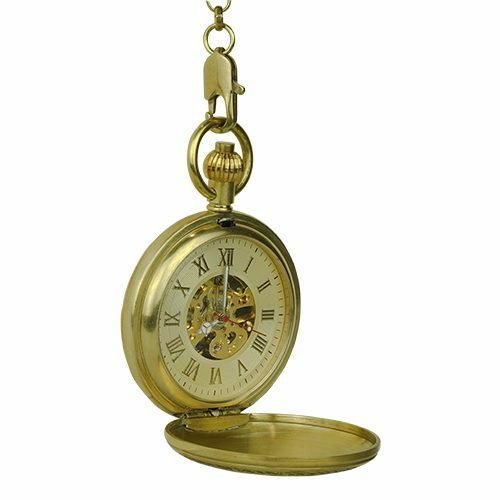 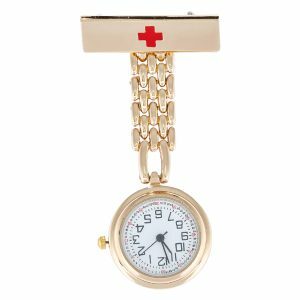 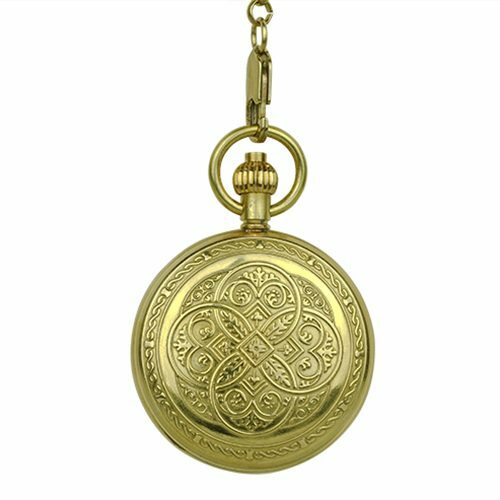 Greek Motif Gold Tone Pocket Watch - Fob & Co. 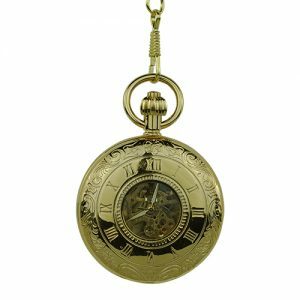 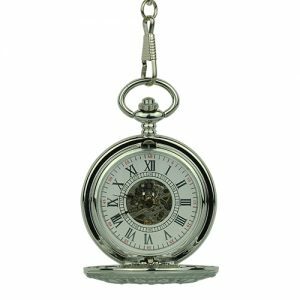 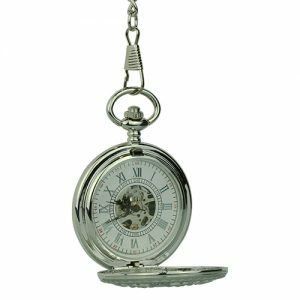 This eye-catching pocket watch is brimming with Greek patterns, from the rope at the edge to the overlapping circles designed with leaves and arrows. 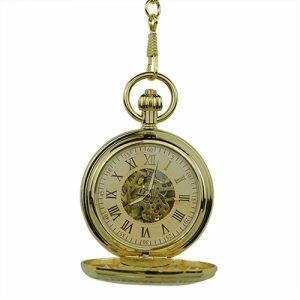 The interior exhibits golden Roman numerals sitting on a white background with the golden skeleton at the centre as the main beauty.